South view of the Thames Barrier taken on 12 October 2008. Copyright James Campbell. 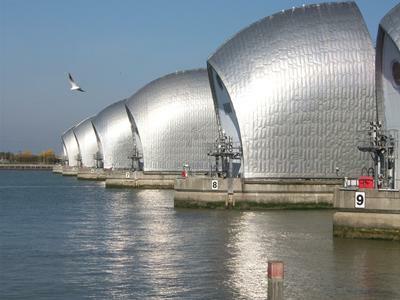 Accelerations in the rate of sea-level rise and the time required to upgrade coastal flood defence infrastructure, such as the Thames Barrier, will be investigated as part of a new research initiative. Led by the University of Southampton, and involving the National Oceanography Centre, the E-Rise project will aim to better understand the likely lead times for upgrading or replacing coastal defence infrastructure around the UK during the 21st century. It will also assess whether we could detect sea-level accelerations earlier to provide sufficient lead time for action. E-Rise is a one-year project funded by the Natural Environment Research Council (NERC) as part of the Environmental Risks to Infrastructure Innovation Programme. Environmental Risks to Infrastructure Innovation Programme. 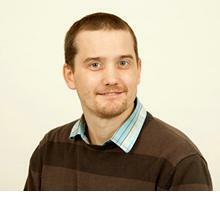 Dr Ivan D Haigh is Associate Professor in Coastal Oceanography within Ocean and Earth Science, National Oceanography Centre Southampton at the University of Southampton. 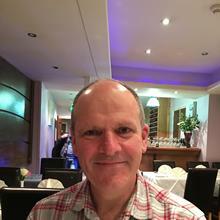 Professor Robert Nicholls is Professor of Coastal Engineering within Engineering and Physical Sciences at the University of Southampton.